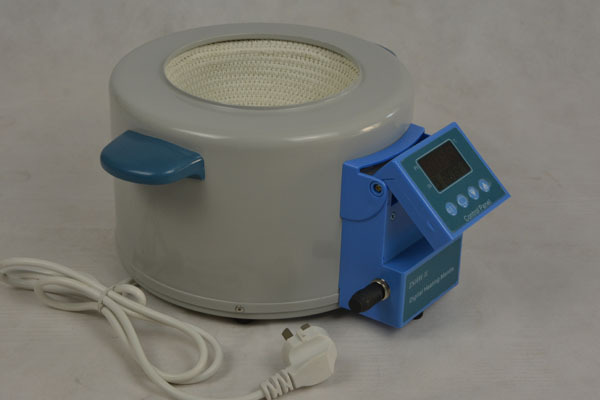 As a kind of heating instrument commonly used in laboratories, electric heating mantle reduce the heating time of experimental objects and reduce the consumption of energy. This responds to the era of sustainable development and advocates the era of energy saving and emission reduction.we often see the electric heating mantles in lab,the how to use the electric heating mantle correctly and efficiently?Many common purification, catalysis, decomposition and other experiments require the use of electric heating mantles to heat and catalyze the reaction, so that the experiment can be better implemented.then how to use the electric correctly and efficiently?And what’s the using process?I have divided the use of electric heating mantles into four aspects in detail through comprehensive arranging. I hope that you can refer to these four aspects and learn how to use electric heating mantles correctly. 1. temperature setting: press the “Parameter Setting Key” to set the temperature, the lower row of digital tube data flashes (the upper row of normal temperature measurement), indicating that the meter enters the temperature setting state, press the “Parameter Increase Key” setting value to increase, Press the “Parameter Decrease Key” to decrease the value. Press and hold the increase key or decrease the key set value to change rapidly. Press the “Parameter Set Key” again to return to the normal working state and the temperature setting is completed. 2. Sensor error correction:The display value can be corrected when the value displayed on the meter is not the correct measurement value.Press the “Parameter Setting Key” for 3 seconds to enter the inner menu. This parameter can be modified by selecting the parameter Sc followed by the “parameter increase key” or “parameter decrease key”.The correction range of the sensor error is +50 ° C to -50 ° C. After the correction is completed, press the “Parameter Setting Key” for 3 seconds to exit. When the instrument is shipped, the correction value is 0. When using it, it should be prevented from correcting the correct display to incorrect. 1. PTHW type electric heating mantle meet the requirement of constant heating by electronic pressure regulation.The operation is as follows. 1.Plug in the power, turn on the switch, the green light indicates the power, the red light indicates the heating, adjust the knob clockwise, the temperature will be low to high, when the knob is adjusted to a certain scale, the sleeve reaches a certain constant temperature,However, a thermometer is required to assist in the measurement. 2. The first time warming can increase the temperature or adjust it to the highest temperature.When the temperature is raised to the desired temperature or the solution is boiled, the knob can be lowered to heat the insulation to prolong the service life. 3. When not in use for a short time, turn the knob to 0 to stop warming. Turn off the power when not in use for a long time. 1. Insert 220V power supply,turn on the power switch,The appearance window shows “K”,the setting window shows the word”400”,after 3 seconds,the appearance shows room temperature,The setting window shows the previous set temperature value. 2. Single-button operation,Press the setting the increase“▲” or setting the minus “▼” button will quickly set the required heating temperature:100℃，the green light on indicates warming,the red light off indicates stop.The microcomputer will determine the heating amount according to the temperature difference between the set temperature and the current temperature, ensure that the temperature is not warmed up once, and maintain the balance between the set value and the display value ±1 °C temperature difference, so that the heating process is easily completed. 3.There is a rubber plug on the lower left side of the electric heating mantle, which is used to maintain the external thermocouple socket without corroding rust and turning on the inner wire. When unplugged, the inner probe is disconnected and the machine stops working. If the external thermocouple is used, the plug should be unplugged, the external thermocouple plug is inserted into the socket and the nut is locked, and then the stainless steel probe is placed in the solution for temperature control heating. The electric appliance is provided with a function of breaking the occasional maintenance. When the thermocouple is poorly connected, the display window displays “1” or “hhhh” on the hundredth position, the green light is off, and the electric appliance stops heating, and needs to be viewed and used again. 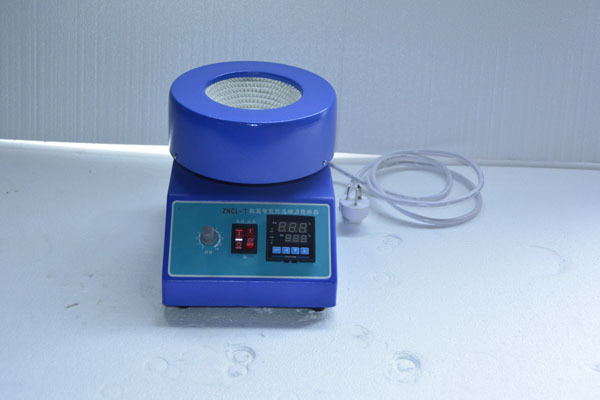 This specification adopts high-power controllable silica gel as the control component, non-contact electronic voltage adjustment circuit, adjusts the heating temperature by changing the voltage, and can directly display the adjustment voltage, and the temperature adjustment range is wide. When using, turn the thermostat knob clockwise. When the sensor is used, the knob should be small in amplitude and slowly warm up according to the temperature indication. Otherwise, the heater will be burned out if the temperature rises too high. This entry was posted in heating mantle uses. Bookmark the permalink.